Fresh new teen pop sound with lyrics and a beat reminiscent of early Taylor Swift - once you hear this song you won't be able to get it out of your head! This young teen artist has a fresh, clean, and super-catchy sound that blends lyrics, melody and a beat that grabs you and won't let go! Kaitly's songs have flavors of early Taylor Swift, Parachute, Avril Lavigne, and Colbie Caillat. Recorded at Sanctum Sound in Boston, 'Should've Been Me' is backed by accomplished studio musicians Mike Woods (lead guitarist for 'Damone'), drummer Kevin 'kFigg' Figueiredo (the Doors, Slash), and world renown electric bassist Baron Brown (Jean-Luc Ponty, Walter Beasley, Spyra Gyra). 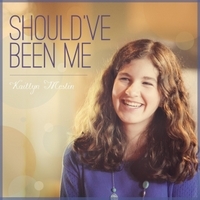 'Should've Been Me' is the second single release by singer/songwriter Kaitlyn Meslin.